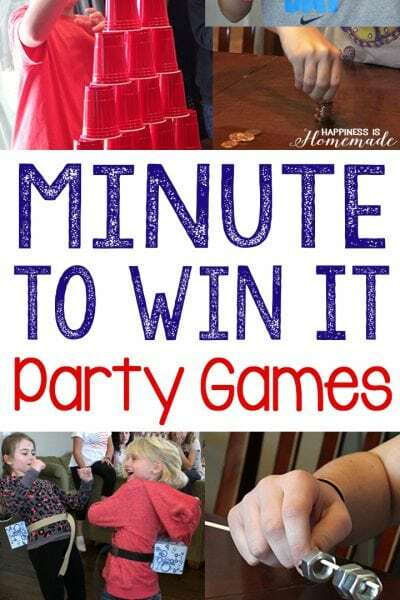 My boys have made their fair share of grass buddies at school over the past few years, and they never disappoint. 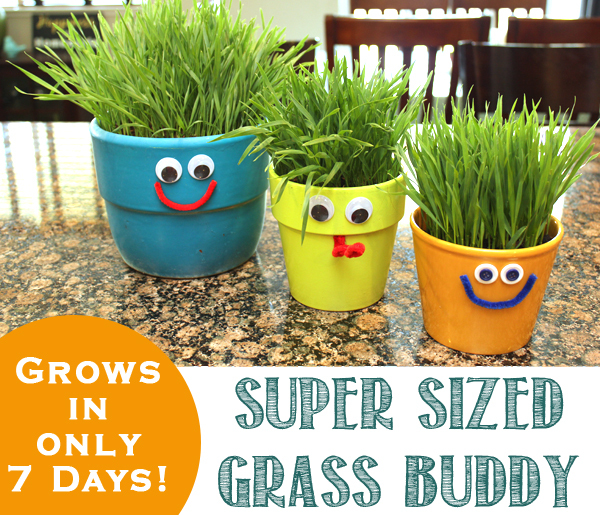 They’ve spent weeks growing grass and carefully trimming their buddy’s “hair” into something stylish. Now that my big boys are getting older they’re constantly on a quest to one-up and out-do themselves, so we decided to give the standard grass buddy a super sized treatment. 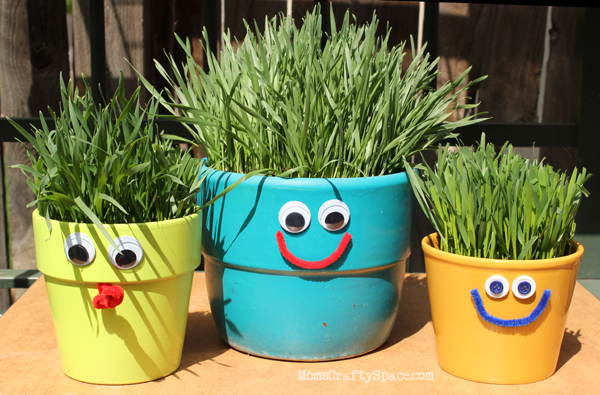 All it takes to make a jumbo grass buddy are flower pots, potting soil and wheat berries. 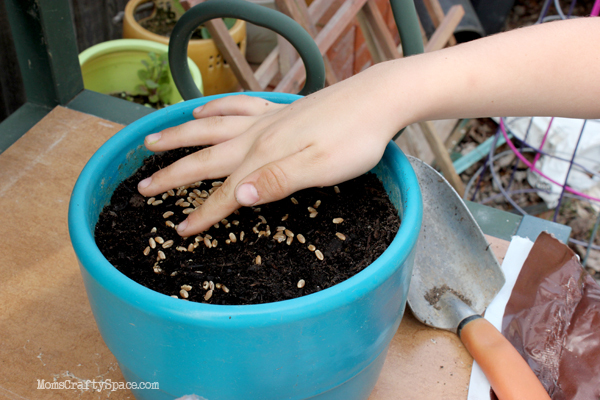 Sprinkle the wheat berries over the top of the soil into a thin even layer, and top with another 1/4″ of potting soil. 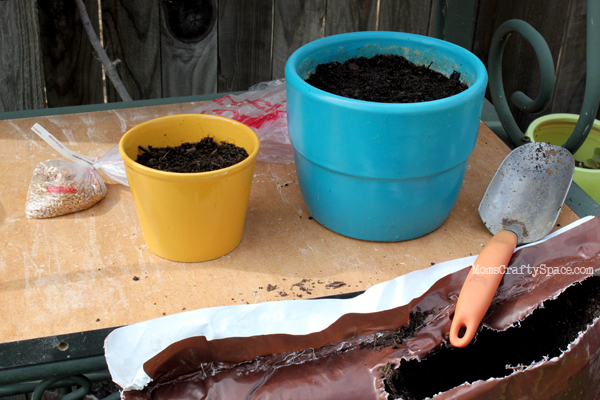 Lightly water the soil, and you will see the seeds begin to spout within the next day or two. 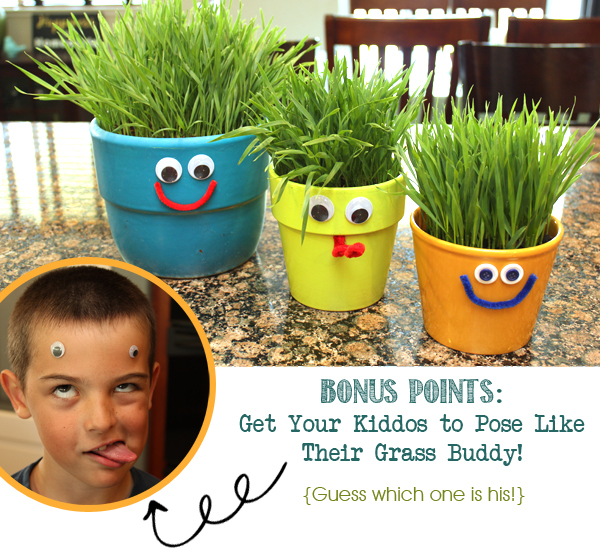 …and the grass buddies will be full grown! 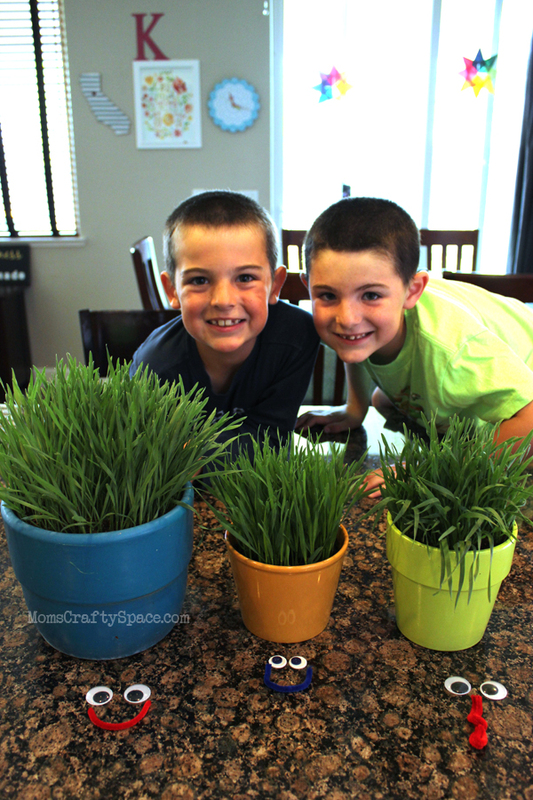 Wheatgrass grows incredibly quickly, so it will only take 7-10 days to have a pot full of lush dark green grass. 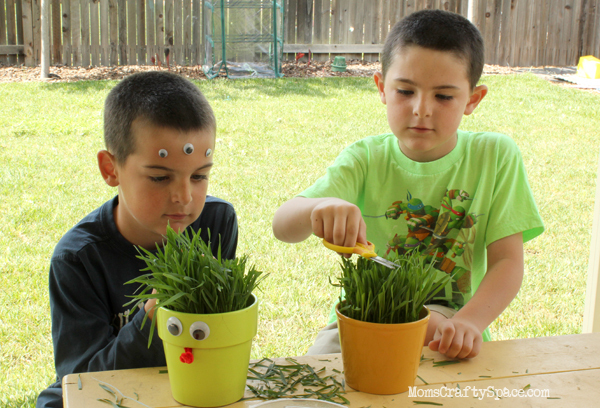 Choose some embellishments to create the buddy’s’ face, and use hot glue to attach them to the pots. 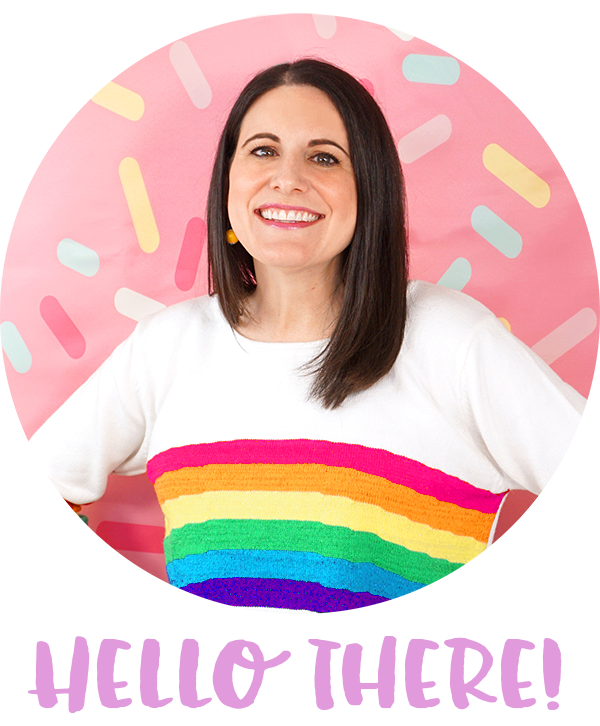 The best part about growing grass heads is getting to cut all of that crazy hair and turn it into awesome hairstyles (and since wheatgrass grows super fast they’ll be able to trim it over and over again!)! 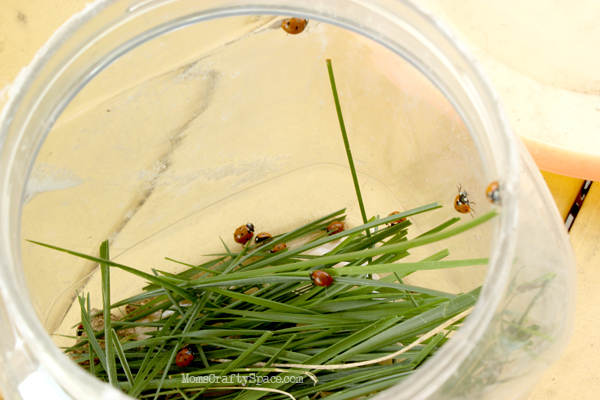 Our grass trimmings made a perfect home for a few dozen ladybugs that the boys collected from the yard! Leave your grass buddy in a sunny location and remember to water it often. After a long while the wheatgrass will start to form stalks of wheat which can then be harvested in about 160 days. 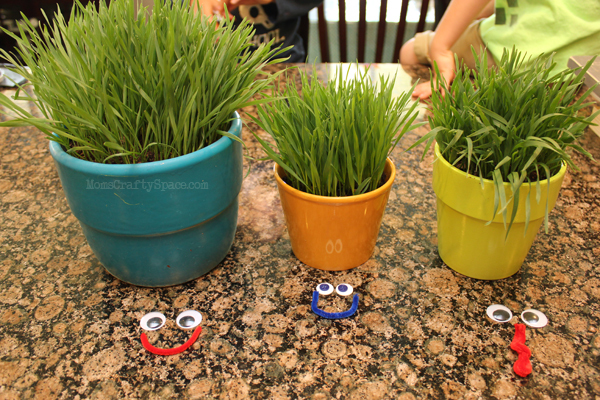 We love to plant wheatgrass buddies in the spring and then use the fully grown dried wheat for our fall decorations!